These bones are high on protein and low on fat. 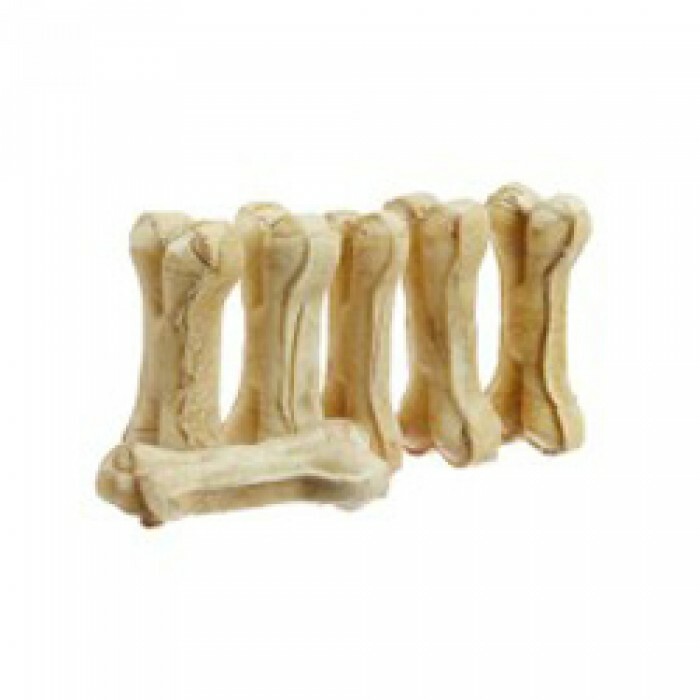 Dogs need to toughen their teeth and gums, and biting on chew bones is a great exercise to do this. Chewing on rawhide bones, dry treats, rolls or twists helps keep plaque away and reduces the acidity in the dog's mouth that can cause gingivitis.